Product #60494 | SKU 440SPK2 | 0.0 (no ratings yet) Thanks for your rating! 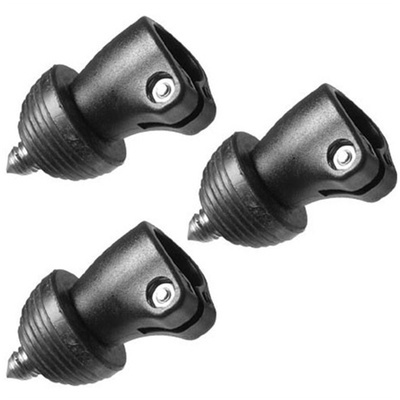 A set of three retractable rubber/metal spiked feet for 724B, 728B, 190MF3, 055MF4 & 440 Series tripods. The Manfrotto 440SPK2 Stainless Steel Retractable Spiked Feet Adapter (Set of 3) is a set of three retractable rubber/metal spiked feet for 724B, 728B, 190MF3, 055MF4 & 440 Series tripods. The spike is made of a special hard-anodised aluminium alloy extremely resistant to corrosion.